-“Locked Movement Control” option added to settings screen. -Solo and Duo Showdowns now display “SHOWDOWN!” and music changes when only 2 players or 2 teams are left. NEW: Get ready for more BRAWLING! 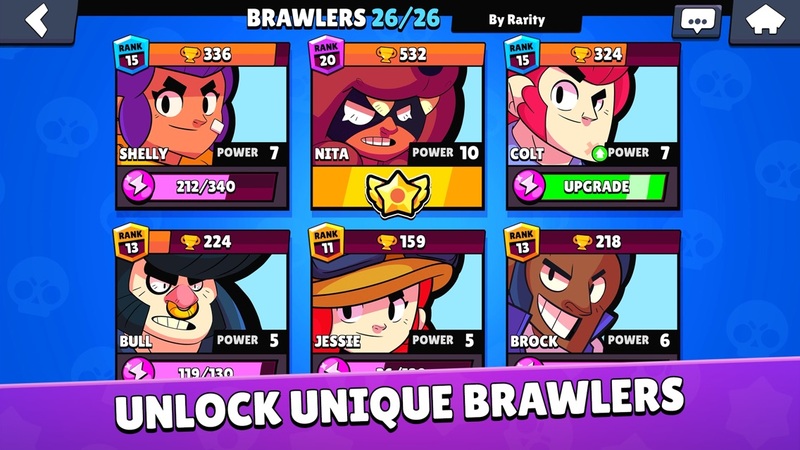 New SKINS for your Brawlers and new ways to get even more REWARDS! - NEW SKINS! Check out the awesome new skins! We have DRAGON KNIGHT Jessie, SUMMER Jessie, CAVEMAN Frank and PHOENIX Crow. You should see Phoenix Crow soar across the screen! - MORE SOCIAL FEATURES! We made a lot of improvements to the Friend System. You can now Play Again with other players, even if you are already in a game room. - DOUBLE YOUR REWARDS! You can now watch an ad to double one of your Brawl Box rewards. Watch up to 5 ads per day to get a lot more from your Brawl Boxes! 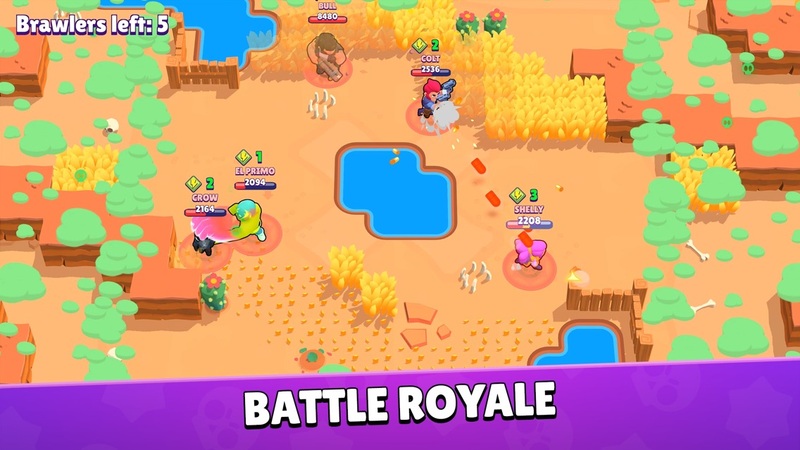 - DAILY BRAWL BOXES! The Shop now has free daily Brawl Boxes that expire after 24 hours. Make sure to get your free rewards before they disappear! - GEMS IN BOXES! Brawl Boxes have become even more valuable! 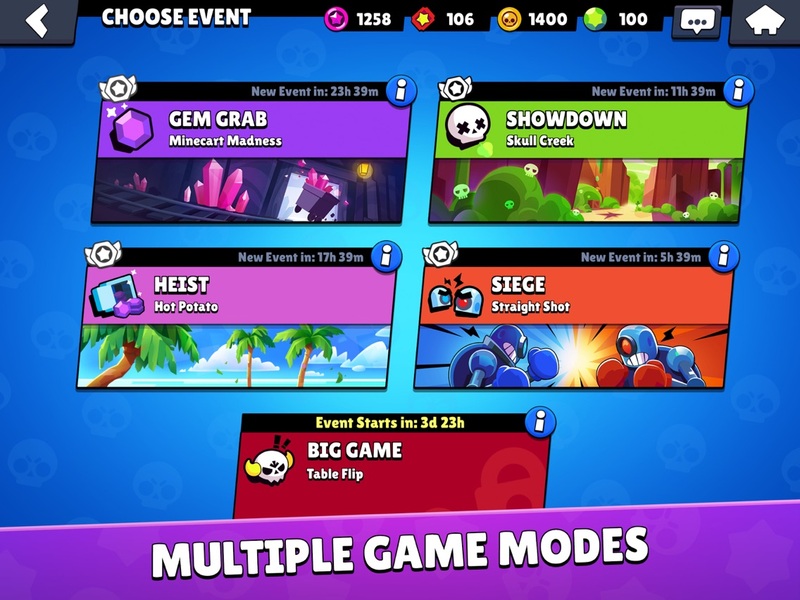 Now collect gem rewards in your Brawl Boxes! - Super attack issue fixed, along with other bug fixes and smaller tweaks! Get ready for more BRAWLING! 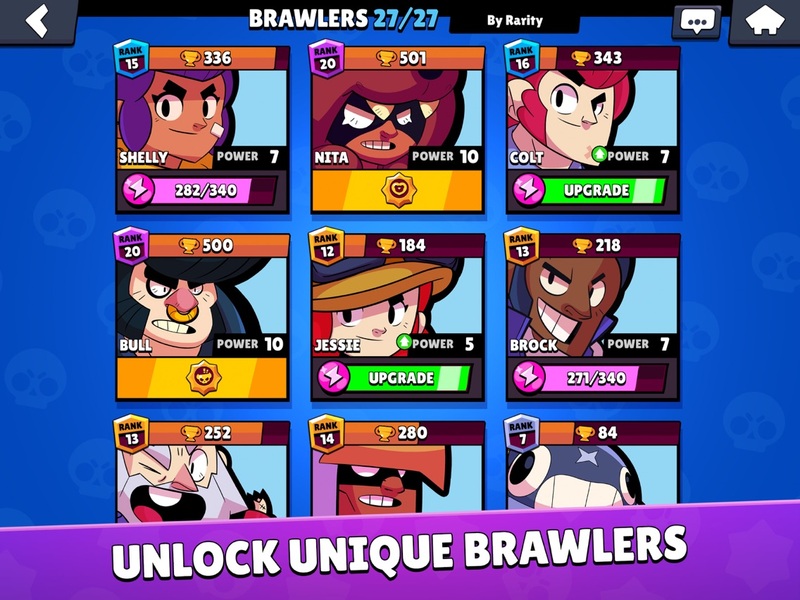 New SKINS for your Brawlers and new ways to get even more REWARDS! Two new Brawlers, two Safes in Heist, two teammates in Duo Showdown and double the Key rewards! 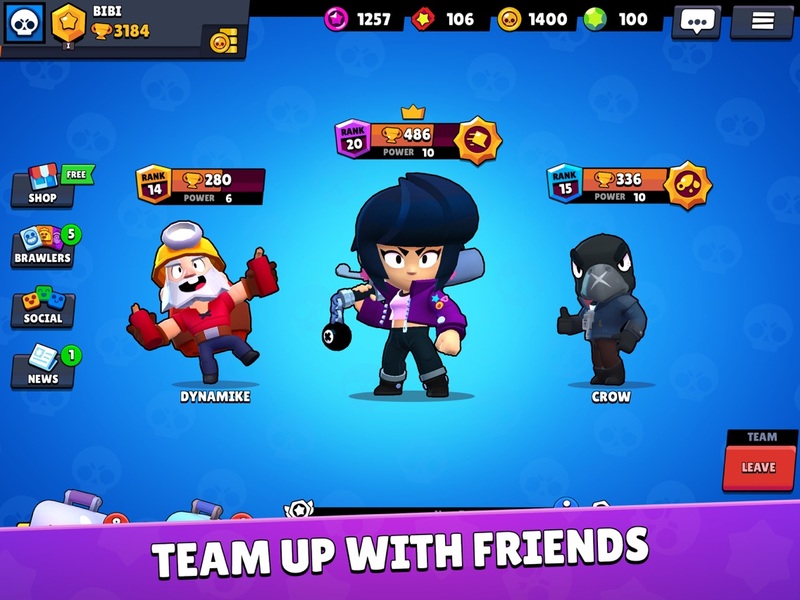 In addition, this update brings Friends, spectate mode, Trophy Leagues, and so much more! 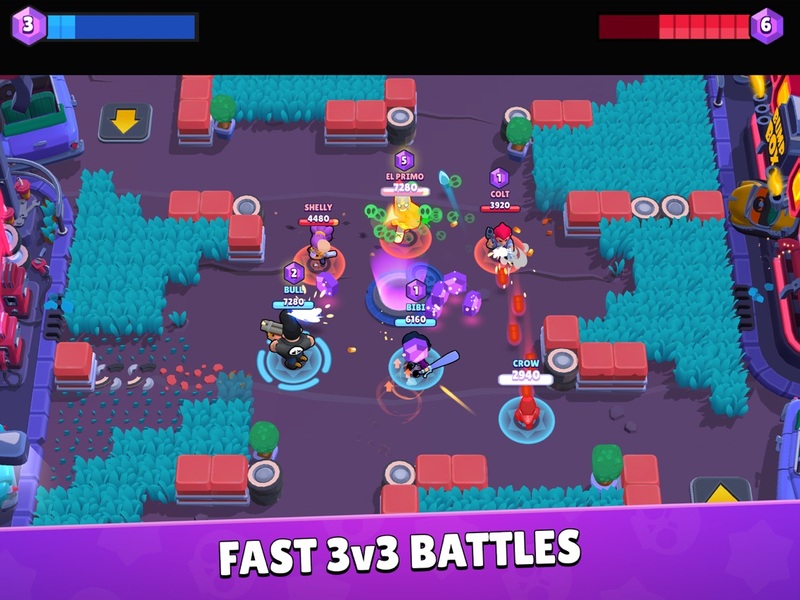 -TWO NEW BRAWLERS! Penny is a plundering pirate who scatters her enemies with her trusty Plunderbuss and uses a long range cannon to barrage any cowards hiding behind walls. Frank is a hard-hitting, hammer wielding Brawler who will leave you stunned with his greatest hits! 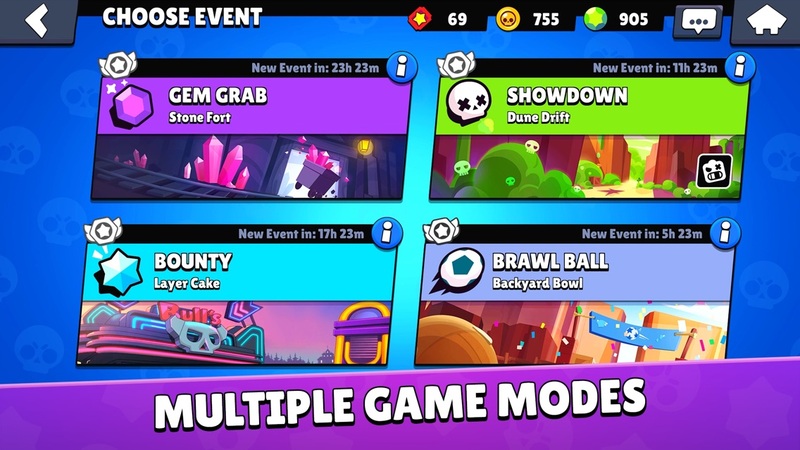 -NEW GAME MODES! Heist 2.0 featuring double safes, and Duo Showdown where you can team up with a friend to take on four other pairs for the ultimate victory!  -TROPHY LEAGUES! Your total trophy progression is now divided into multiple leagues from Wood League to the Star League and many rewards wait to be collected when hitting trophy milestones! -SOCIAL FEATURES! Spectate Mode and Friend System are here! 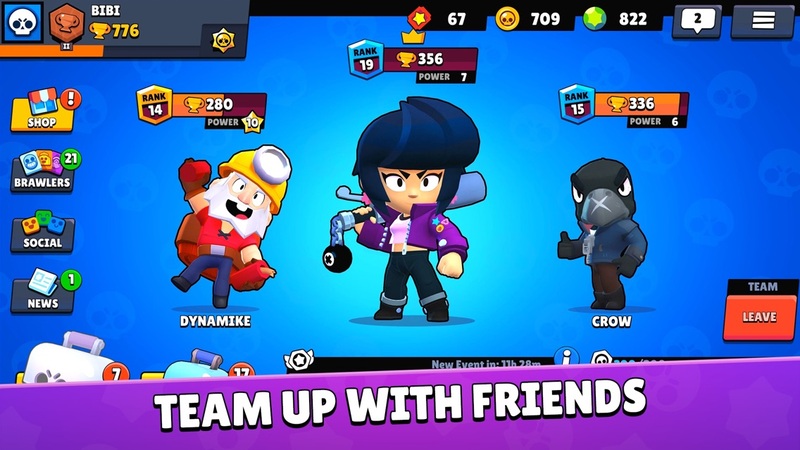 After a match you can choose to play again with teammates you just clicked with and why not even add them as friends later! -Game Economy Changes! You can now earn all your keys by playing your favorite game mode! Key rewards from all battles have also been increased and the overall progression is now faster thanks to some newly added rewards! 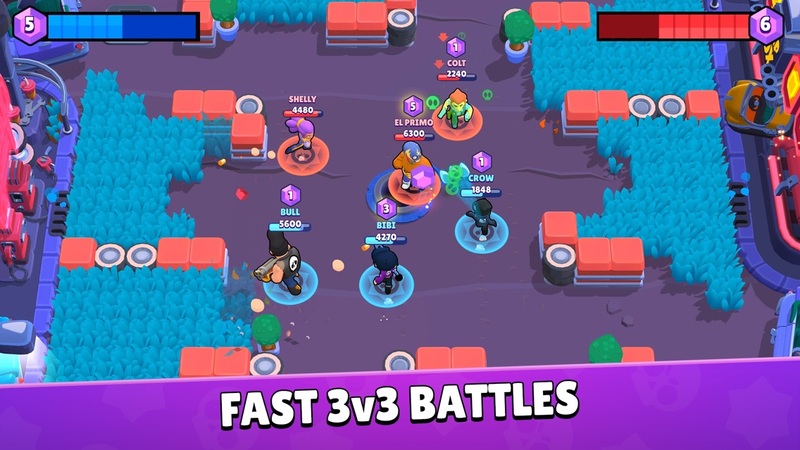 -Balancing changes to several Brawlers! We are always looking out for any overperformers and underachievers in the ranks and have adjusted them accordingly! -Lots of bug fixes and smaller tweaks! 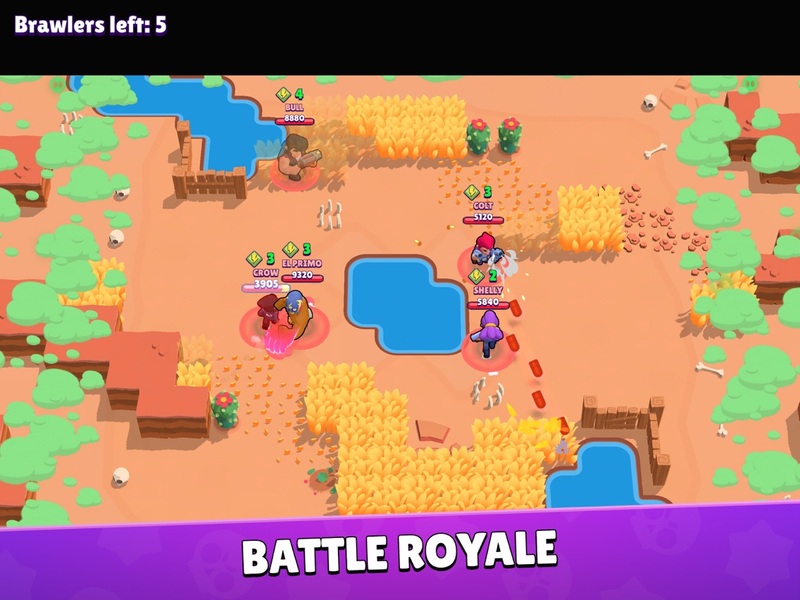 Spectate Mode and Friend System are here! Watch your friends and find some new ones! After a random match, you can play again with the same team.